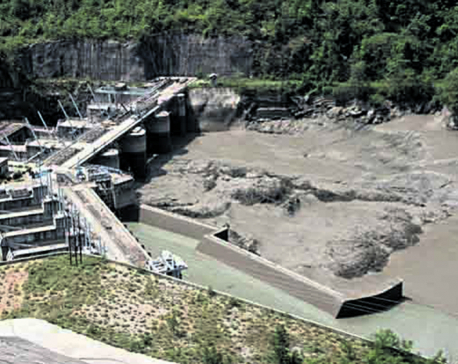 POKHARA, July 26: Gandaki Province government has introduced its own set of operation guidelines for crusher industries. The new guideline details rules for excavation, collection and distribution of stone and sand. Prepared jointly by the ministries of Industry, Tourism and Forest and Environment, the new guidelines were recently by its cabinet. The ministry of Physical Infrastructure and Development had also given necessary input in the document. The guideline has come into effect in all the 11 districts of the province from the beginning of the new fiscal year. Existing and new crusher industries should compulsorily meet all the 10 conditions outlined in it. "The government has enforced the new work procedure and all the crusher industries have to follow it. All the mines extracted from natural resources now come under taxation and will be more disciplined," said Diwakar Poudel, spokesperson at the province's Forest and Environment Ministry. "There are different measures for Tarai and hilly areas," he added. The only district in the province, which is in the Tarai region, is Nawalpur. 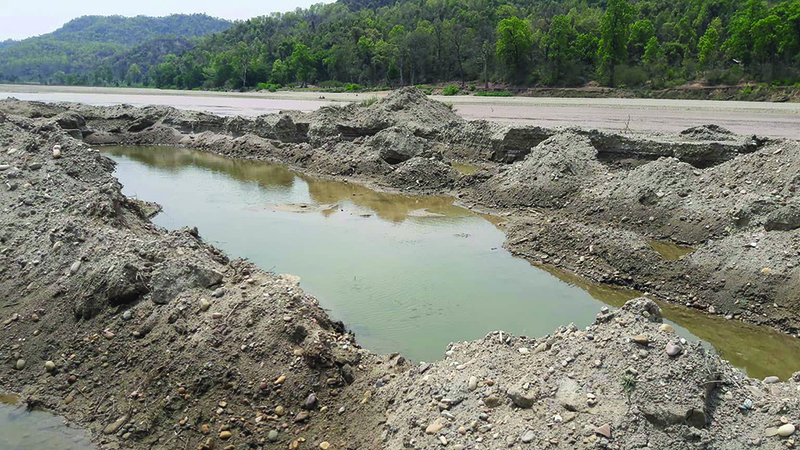 The new guidelines provisions that a crusher plant should be located at least 500 meters away from the bank of a river. Any crusher plant found to be flaunting the rule will face strong actions from the government. Similarly, crush industries are restricted from operating near lakes, religious and tourism sites. Crusher plants in such vicinity should be at least 1,500 meters away from such sites. Along with that, crusher industries in the province cannot operate near human settlements, national parks, wildlife conservation and forest areas. In such areas, crusher plants should be at least two kilometers away in the hills and one kilometer away in the plain. Similarly, the guideline has restricted operation of the industries at night. They can run only from dawn to dusk. However, the guideline does not restrict the use of sand and mud deposited by floods or landslides. Local body can remove such obstructions in its own way. Environmental consideration is another important point of the guideline. Without in depth study of the environment and endorsement from the concerned authorities, a crusher plant cannot operate anywhere. "A crusher plant can be established only after a real study is conducted by professionals, is submitted to concerned authorities and is approved by the concerned authorities. Anyone crusher plant found flaunting environmental regulations won't be spared. The new guidelines are to be strictly implemented. Interfering with nature is now a serious crime in our province," Poudel said. Even while testing environmental factors, researchers have to use methodologies and tools outlined in the guideline. The guideline also details rules for setting up crusher industries near bridges and highways. It restricts crusher plants to be at least 500 meters away from highways and bridges. The distance is same for concrete and suspension bridges. From international border, crusher plants should be at least one kilometer away. Poudel stated that crusher industries should be registered and renewed on time. They cannot work beyond their working area. "If they try to breach the working area and do other tasks than they have license for, they will be prosecuted," Poudel said. He added that crusher industries must stick to their own purpose as mentioned by them in their permission letter. "If they want to extend their working area, they must meet all the qualifying criteria, approach the concerned department and seek required permissions. And if they are given permission, they can extend their services," Poudel stated. According to him, all 11 districts in the province have already enforced the new guideline. This is expected to be a milestone in saving the nature. "We have sent out the circulation to all local bodies. Crusher plants, currently in operation and new ones will have to follow those guidelines to ensure that they are very disciplined and work responsibly. It was imperative to have clearly defined guidelines in order to save the nature," he said. There are 48 registered crusher industries in the province. Most of those are in Tanahu and least of those are in Myagdi and Baglung districts. While Tanahu has 14 registered crusher industries there are one each in the two other districts. According to Poudel, none of these industries have met the standard mentioned in the new guideline. "Now, either they have to correct themselves or their license will be withdrawn," he said. He stated that the industries have been given three months of time to meet the new work procedure. After three months, the government will either allow them to continue or withdraw license.